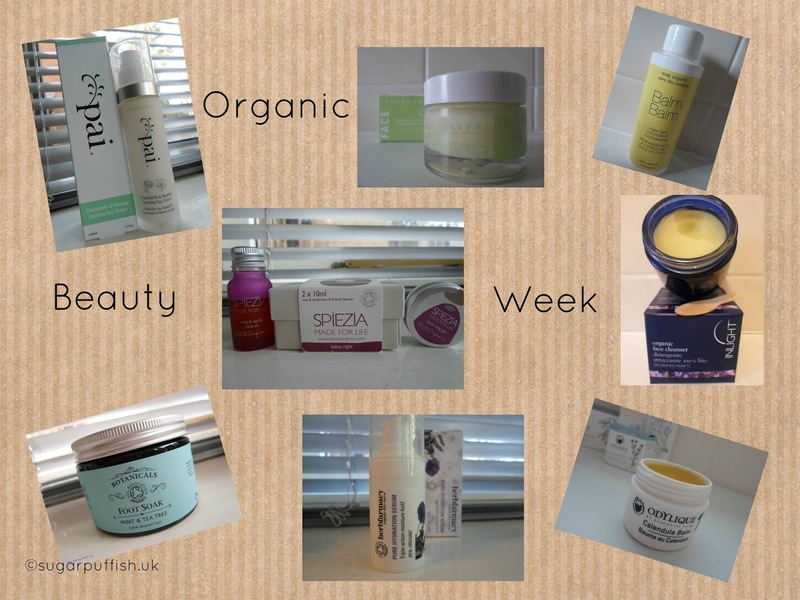 As it is Organic Beauty week, I thought I would mention a few of my favourite brands which are certified by The Soil Association. Let me start with the wonderful Odylique. Long time readers will know that the Gentle Herb shampoo is my Holy Grail closely followed by Superfruit Concentrate. Another great is Pai skincare, formulated for sensitive skins and the Chamomile & Rosehip Calming Day Cream is a staple in my collection. I recently discovered the Herbfarmacy Mallow Beauty Balm which is turning out to be a great multi-tasking product. It’s suitable for problem dry patches and I just know will be great for sore noses comes cold season. Talking of balms, you all know I have an addiction to balm cleansers. Several of my favourites are certified organic - Lulu & Boo, Suti, Botanicals, Circaroma, Saaf and Inlight. Spiezia are the “grandparents” of certified skincare, they refer to themselves as pioneers as back in 1999 they helped determine standards with the Soil Association. I’ve had the pleasure of sampling their facial cleanser and rose & vanilla face oil. Organic skincare doesn’t have to blow your budget, there are many affordable brands but a firm favourite with me would be Balm Balm. I’ve bought many of their products over the years for myself and for friends. I like the simple packaging but faultless products with good ingredients and formulations. Have you tried products from these companies? Do you have a favourite Soil Association certified organic brand which I haven’t mentioned? I've yet to try something from Balm Balm, I need to get on that! I was straight up drooling over Pai products in Whole Foods today, haha! Thanks so much for sharing! I have not tried any of these products yet but there are definitely a couple that I am interested in. I also recommend checking out Beausoleil Organics, a startup natural cosmetic company. I am currently a beauty blogger for them and they have a wonderful new line of products!